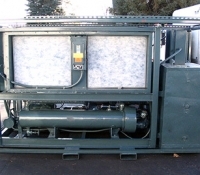 The Packaged Chiller specified and built for your application has been designed to utilize a specific type of cooling media (glycol) mixed to a predetermined percentage blend for efficient operation. Whether it is an Ethylene Glycol, or a Propylene Glycol mixture, the designed media type and percentage blend should not be changed unless approved by (JCY) the Chiller Manufacturer, as well as the Production / Process Equipment Manufacturer. 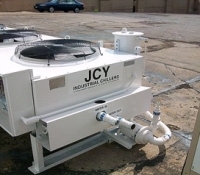 JCY can provide you with the appropriate system glycol in multiple quantity sizes and pre-mixed blends. 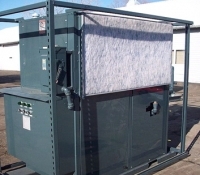 This chiller system utilizes a “general usage” type of glycol where food and medical process cooling is not required. Ethylene Glycol is a general usage glycol similar to the glycol utilized in automobiles. 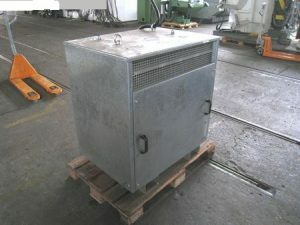 Do not use automotive glycol in a chiller system. Automotive glycol contains silicone, which will settle out of the glycol over time and cling to the system pipes and chiller evaporator. Once the silicone has become attached to the pipes and evaporator, it now acts as an insulator and reduces the system efficiency by inhibiting proper heat transfer. Dowtherm SR-1 is the Industrial Grade Ethylene Glycol that we specify for use in our chillers. The glycol is an ethylene glycol blend, without the silicone, and a full array of system corrosion and rust inhibitors. 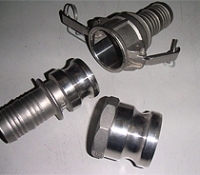 In short, it is designed and made specifically for chiller systems. 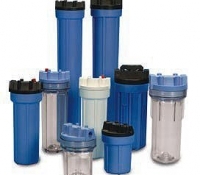 It is available in a wide variety of blends, and we ship it to you pre-mixed with de-ionized water to minimize particles and contaminants found in standard city or well water. It is factory dyed “Pink” in color for ease of visual leak detection, and fluid identification. This chiller system utilizes a “food and medical” type of glycol where it is used to cool equipment utilized in a food manufacturing facility, or a medical manufacturing facility. This glycol may also be utilized in large volume systems where loss and containment is a concern. Propylene Glycol is not as efficient as Ethylene Glycol when it comes to heat transfer, but it has a much lower toxicity level than Ethylene Glycol. Dowfrost is the Industrial Grade Propylene Glycol that we specify for use in our chillers. The glycol is a propylene glycol blend, without the silicone, and a full array of system corrosion and rust inhibitors. In short, it is designed and made specifically for chiller systems. Dowfrost is available in a wide variety of blends, and we ship it to you pre-mixed with de-ionized water to minimize particles and contaminants found in standard city or well water. Dowfrost is clear in color from the production plant and is dyed “Blue” in color at our facility with an FDA approved dye for ease of visual leak detection, and fluid identification. A system charged with glycol should never be diluted or major unit damage may occur. Should the solution be diluted, the refrigerant evaporator may freeze and rupture contaminating the entire refrigeration system and therefore requiring unit replacement. New and Reconditioned walk in coolers, walk in cooler panels, and refrigeration systems for walk in coolers. 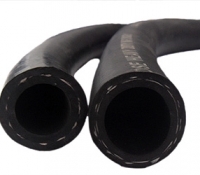 Heavy duty, flexible hose. Used for temporary or permanent applications. 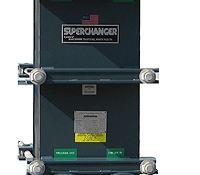 We can also provide you with transformer, if chiller is different voltage than what you have. These can either be permanent or rental transformers.